All this recent talk about Interbike, the UK’s Cycle Show, and who’s riding which uber-bike in Kona this weekend prompted me to review the best bike innovations I’ve seen. 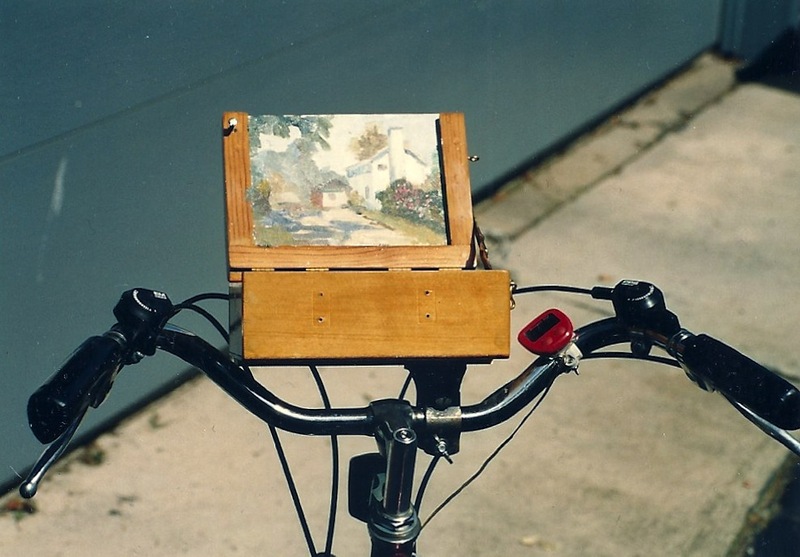 That’s my dad’s easel-on-a-bike. He’d attach it to his handlebars, pull up to a scene that looked interesting, and get it down in paint. Technically, it’s called a pochade box, and is an ingenious outdoor painting solution that 18th and 19th century artists used all the time. The hinged top becomes an easel and a place to hold wet paintings and the bottom has room for your supplies plus a thumb hole so you can stand and comfortably hold your traveling studio while you paint. 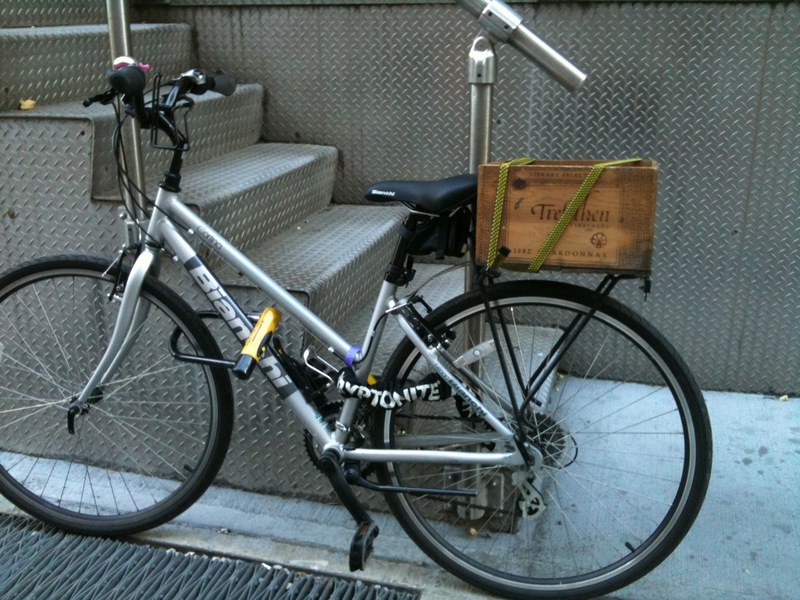 Even more ingenious is the way my dad hooked it up to his bike (hmmm…workout and paint-out at the same time. Is that where I learned to multitask?). Haven’t seen that in Brooklyn (yet)! 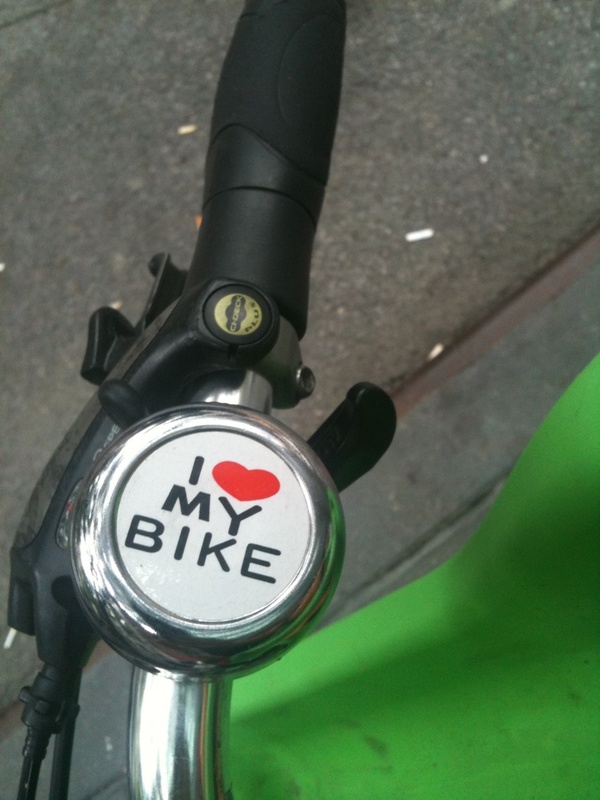 Got a great bike innovation? Talk about it below. All this talk about pressing so hard on a workout and missing what is going on around you, but it sure seems like your dad had it dialed in. A big hearty thank you to your dad, and to you for sharing! Shared your Dad’s bike with a friend who is going to use a pochade box. Your Dad’s innovation is wonderful!